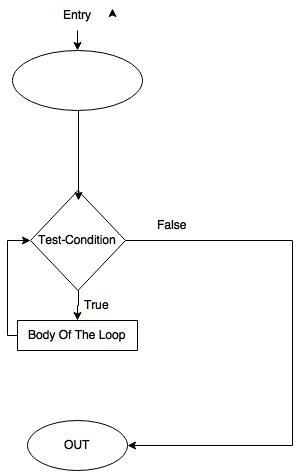 Answer: Depending, on the position of the Control Statement in the loop, a control structure may be classified either as entry-controlled loop or exit-controlled loop. 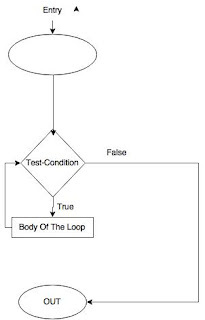 1) In the entry-contolled loop, the conditions are listed before the start of the loop execution. Example: For loop and while loop. 2) In the exit-controlled loop , the test-conditions are performed at the end of the loop and therefore the body is executed unconditionally for the first time. At least one time execution is done compulsory. Answer: The prefix form first performs the increment or decrement operation and then returns the value of the increment/decrement operation. The postfix form first returns the current value of the expression and performs the increment or decrement operaton on that value. Above example clearly explains us the difference between postfix and prefix increment/decrement operator. Q 3: What is the difference between a++ and a+=1? Answer: a++ is a post-increment operator whereas a+=1 is a shorthand operator. Both are doing the same thing, that is they are adding 1 to the value of 'a' and storing it inside the value of 'a' variable. Answer: | and || are OR operators only. But | is Bitwise OR operator and || is Logical OR operator. Similarly, & and && are AND operators only. But & is Bitwise AND operator and && is Logical AND operator. Q 5: State the difference between variable and identifier. Identifier refers to the name of a variable, function, arrays, pointers, structures etc. These are user defined names and consists of a sequence of letters and digits. Underscore(_) is also permitted. A variable, a type of identifier, is a data name that may be used to store data value. Unlike constants that remain unchanged during the execution of a program, a variable may take different values at different time during execution. Examples: a,b,c,_perc,roll_number,count etc. Note: Rules for declaring a variable and an identifier are same. Q 6: What do you mean by symbolic constant? How is it defined? Explain with a suitable example. Answer: A Symbolic Constant is name that substitute for a sequence of character that cannot be changed. The character may represent a numeric constant, a character constant or a string. When the program is compiled, each occurrence of a symbolic constant is replaced by its corresponding character sequence. They are usually defined at the beginning of the program. The symbolic constants may then appear later in the program in place of the numeric constants, character constants,etc. that the symbolic constants represent. 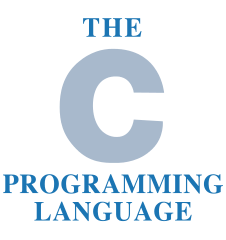 A C program consists of the following symbolic constant definitions. #define PI 3.141593 defines a symbolic constant PI whose value is 3.141593. When the program is pre-processed, all occurrences of the symbolic constant PI are replaced with the replacement text 3.141593. Note that the preprocessor statements begin with a # symbol, and are not ended by a semicolon. By convention, preprocessor constants are written in UPPERCASE. To calculate the factorial of the number accepted by the user. Q8: Explain the primitive data types with ranges available in C language. It requires 2 bytes to store in memory. Character data type declares a variable that can store a character constant. Thus, the variables declared as char data type can only store one single character. It requires ony one(1) byte to store. Float data type declares a variable that can store numbers containing a decimal point number. It requires 4 bytes to store. Unlike other primitive data types in C, void data type does not create any variable but returns an empty set of values. Thus, we can say that it stores null.